You are looking west from 4th Street and 14th Avenue Southeast. This building used to be Grey's Drug for decades, but closed around 1996. 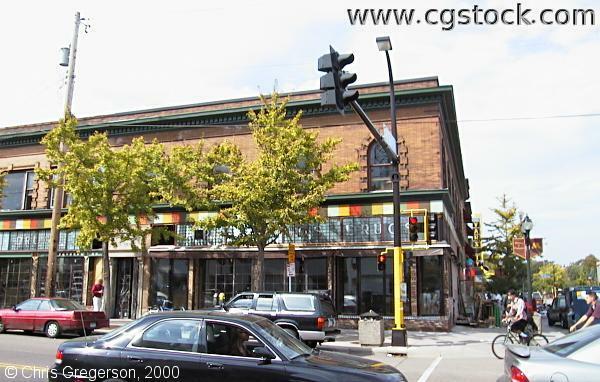 A two-story restaurant, The Loring Pasta Bar, was being installed when this picture was taken. It's due to open in 2001.